Every entrepreneur will face headwinds along their journey, that’s a given. For photographer Jason Malouin, when he came to a crossroads in his entrepreneurial career, he made the extremely difficult choice to redefine his company and undo his existing business format. Although it felt like he was pulling himself apart by choosing to restructure his business, he knew change was needed as he had hit rock-bottom and couldn’t afford to take out a loan. Jason attributes his current wins to all the changes he made to his business at that point. 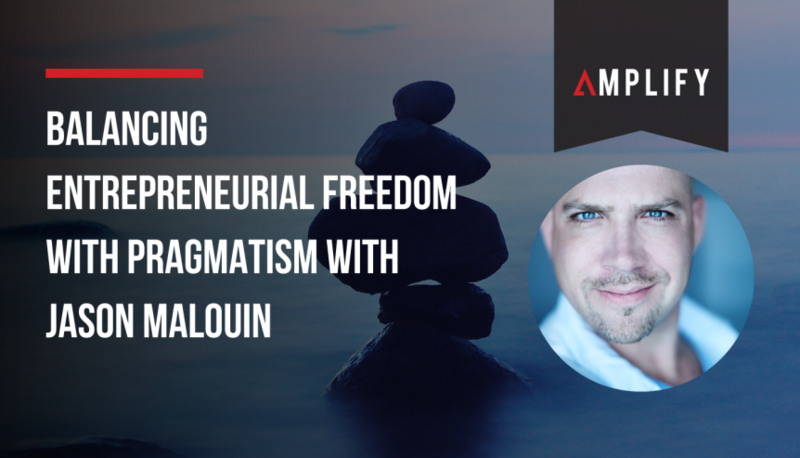 As someone who knows first-hand what it’s like to be in an uncomfortable spot as an entrepreneur, Jason offered advice on the process of balancing freedom with pragmatism as a business owner. As someone who often had his ‘head in the clouds’ (his words, not mine!) and wanted to be creative just for creativity’s sake, Jason didn’t focus on the necessary financial numbers of his business early on. Looking back though, he realised it would have been pragmatic to ground his photography with sound calculations to develop a prosperous business. Keep your feet on the ground through action and energy. Understand your choices and don’t let ego get in the way. It’s okay to question yourself. If something feels off with your business, take a step back and second guess whether you should move forward. It’s better to backtrack earlier rather than later, or move ahead with a decision just because you don’t want to admit you were wrong. You never want to be forced into a position where you have to restructure your business because you have no other option, like Jason’s predicament. When you’re facing a struggle as an entrepreneur, call on your friends. Often, people don’t call because they’re embarrassed or feel deflated, but that’s only your ego talking. And if a friend reaches out to help, do your best to be aware and recognise the kindness of the gesture. It’s easy to be the clueless entrepreneur who doesn’t appreciate the assistance, and instead mistakes it for a personal attack. When you’re in trouble, ask for help. If you don’t, that will likely be the end of your business. Remember this advice from Jason on lessons learned from an entrepreneur who started out as a clueless dreamer who transformed into a more pragmatic, business-oriented dreamer. Learn from his process of redefining his identity as an entrepreneur and rejuvenating his business. Listen to my entire conversation with Jason Malouin here.